When inflated pillows are used: The mesh leaf net will stay above the water surface and allow leaves and debris to blow off of your mesh leaf net. Stake down the netting and pull tight, this will give a tent effect with the Pond Pillow. 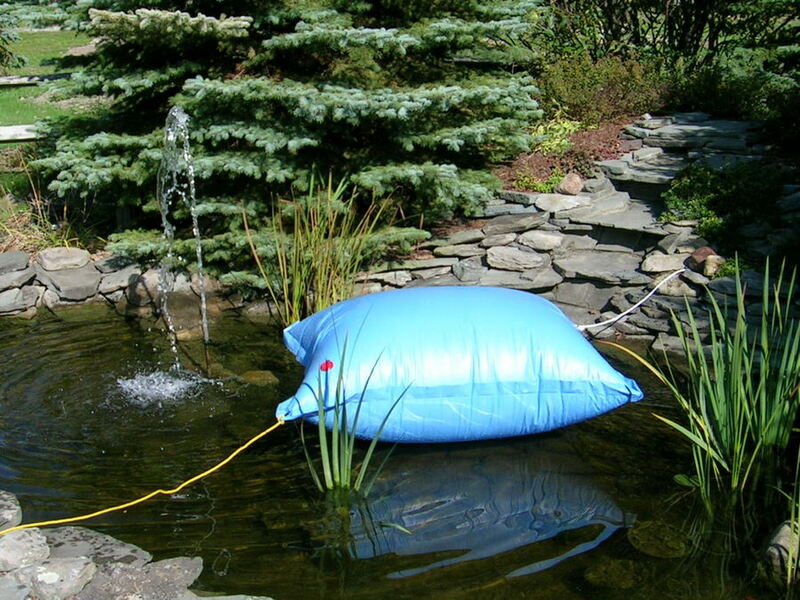 Larger ponds may need to use more than one pillow. Pillows can be connected together. 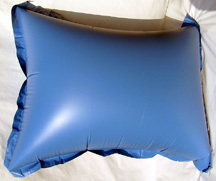 Each pond pillow has two corner grommets.